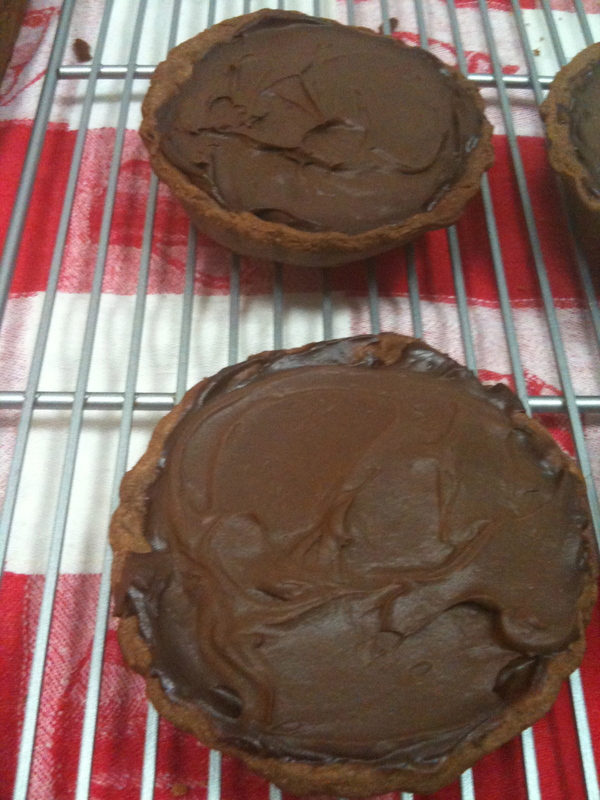 Last night for dinner, I decided to try a new recipe and made Chocolate Tarts. They turned out great, so I decided to share the success. In a bowl place flour, cocoa, icing sugar and salt. Add pieces of the butter to the flour and use fingers to rub the butter into flour until its appearance is like crumbs. Lightly beat the egg yolk and add to the flour with a folk. Add 1-2 Tbsp of cold water to finish the pastry. Place pastry in the fridge wrapped in plastic wrap for 20 mins. Heat oven to 375 degrees F (190 Degrees C). Roll the pastry out – I used individual pie dishes but you can also use a 22cm spring form. Place pastry in the pie dishes, cover with baking paper and pie weights. Place back in the fridge for 20 mins. Place into oven for 15 minutes, after 15 mins take off the backing paper and bake for an additional 5 mins. Take out of the oven and leave in tray, cool. In a bowl which is sitting in a pot containing about an inch of water, melt the chocolate and butter over heat. Once melted use a metal spoon to stir in greek yoghurt, sour cream and cream. Place about 1/3 cup of filling into each pie crust. Leave in the fridge for 4 hours. 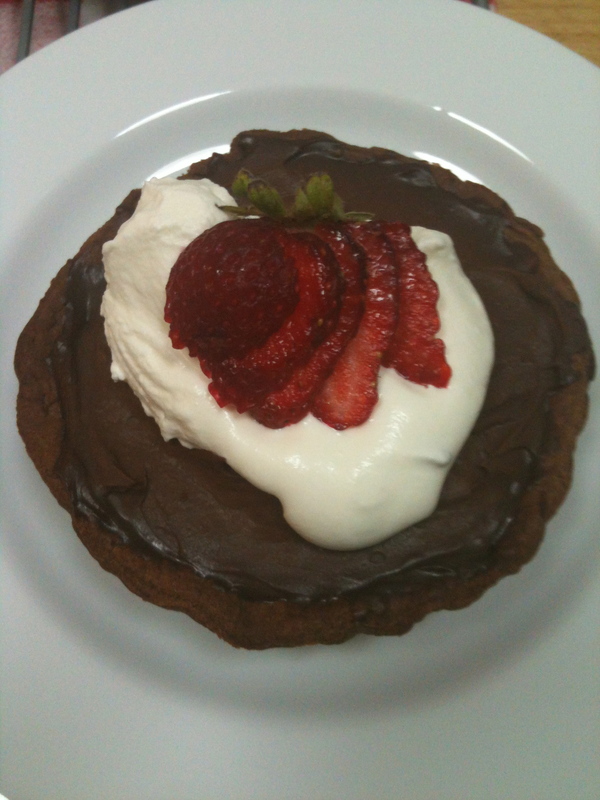 Serve with a dollop of whipped cream and slice strawberries. 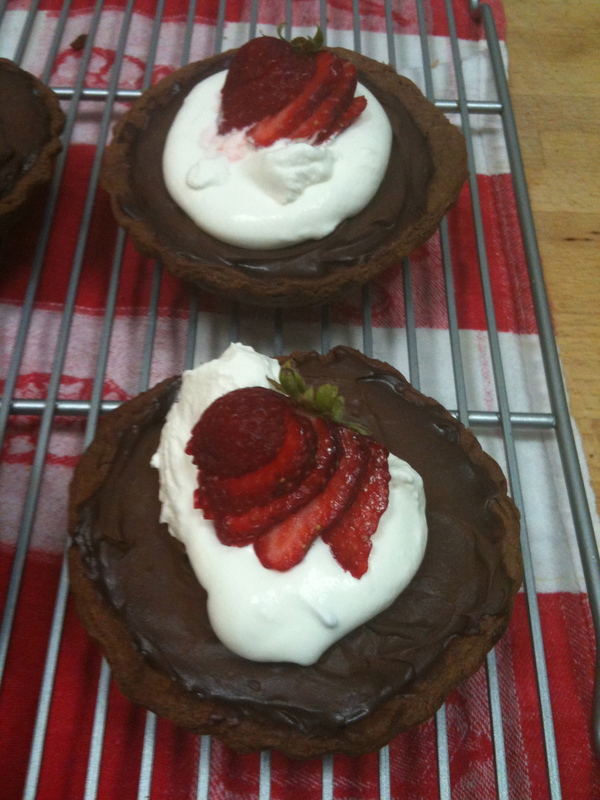 This entry was posted in Uncategorized and tagged baking, chocolate, chocolate tart, dessert, greek yoghurt, pastry, recipe, slice strawberries on October 1, 2012 by mlwilkie.